Classified amongst the Scuiridae (squirrel) family, their other biological relatives include groundhogs, chipmunks, marmots and woodchucks. Above photo from World Wildlife Federation utilized in accordance with Fair Use. Above map from Prairie Dog Coalition utilized respectfully in accordance with Fair Use. Prairie dogs gravitated to the patches of close-cropped grass left by grazing bison where they could watch for prowling predators. Prior to pioneer settlement, some five billion prairie dogs in extensive colonies spread across hundreds of miles of prairie. Saving prairie dogs means saving prairie wildlife. Other creatures have suffered due in good part to the prairie dogs’ decline. For example, the burrowing owl roosts and nests in prairie dog town burrows. “These animals support at least 136 other species through their various activities,” said Kristy Bly, a WWF senior wildlife conservation biologist. They’re fast, skilled fighters armed with sharp claws and powerful teeth. There used to be hundreds of millions of prairie dogs in North America. European settlers traveling through the West wrote about passing through massive prairie dog colonies, some of which extended for miles. But over time, their range has shrunk to less than 5% of its original extent due to a host of pressures, including habitat encroachment by humans. Our nation’s 17 Great Plains national grasslands are managed by the U.S. Forest Service. These 3.5 million acres of public land are prime habitat for prairie dogs and other wildlife. As the main public lands in a region dominated by private land, the national grasslands are critical for maintaining healthy wildlife populations. 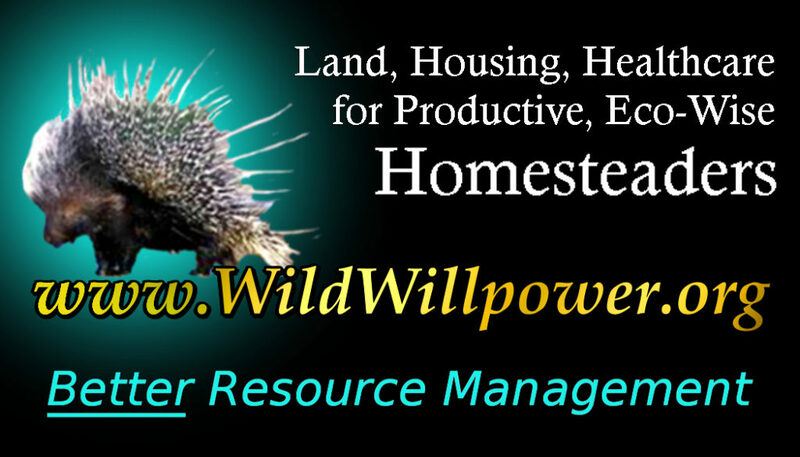 The Forest Service manages the national grasslands more for livestock and energy development than for wildlife. As a result, the agency continues to poison native prairie dogs using taxpayers’ money because they are seen as competition with livestock for grass and because neighboring private landowners do not want the colonies spreading onto their properties. The rarest and smallest of the five U.S. species of prairie dog–the Utah Prairie Dog–isn’t getting endangered species status, despite years of litigation. Instead, the new rules keep the status quo and codify some restrictions that were already effectively in place. About 42,000 of these little guys with black eyebrows chatter in three districts, but the colonies are spotty and the numbers not universally accepted. When they were first protected in 1973, only 37 colonies survived, thanks to a massive, 50-year eradication campaign by ranchers and the U.S.D.A.’s Wildlife Services. Now you might be able to see them at Bryce Canyon National Park. The FWS, led by rancher Ken Salazar, reasoned once again that the best way to protect prairie dogs is by not really protecting them and appeasing ranchers instead. Doug Messerly, who works for the Utah Division of Wildlife Resources, told the AP that “the best way to help the prairie dogs is minimize conflicts, especially with farmers” and “balance” economic interest. They’re targeted by poisoning campaigns perpetuating myths that grazing cattle frequently trip on their burrow entrances or that prairie dogs and other grazers can’t co-exist. Their colonies are bulldozed over for housing developments. Shooting them for sport is a common practice. 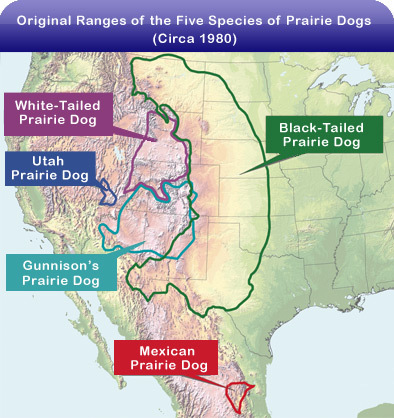 Once spread over 12 western states and Mexico and Canada, today they occupy 2 to 8 percent of their historic ranges, with populations down by 95 percent. Poisoning prairie dogs can be bad for the environment, expensive, and rarely offers a long-term solution. Defenders of Wildlife is working with a handful of national grasslands on nonlethal alternatives to poisoning. For instance , because prairie dogs hesitate to make homes in or go through tall grass, creating tall-grass buffers between prairie dog colonies and adjacent private properties is one way to keep prairie dogs out of where they are not wanted without resorting to killing them. Growing tall grass is difficult in areas frequented by grazing livestock, so Defenders has purchased and installed several miles of solar-powered portable electric fencing along buffer areas to keep livestock out, allowing the grass to grow tall. 1984 Downgraded to threatened, with a special rule under section 4(d) that allowed regulated take of up to 5,000 animals annually on private lands in Iron County, Utah. In contrast with popular perceptions of prairie dogs as fast-multiplying rodents, these animals actually mate just once a year, in early winter. Females go into estrus for a single hour. They then have litters of three to eight pups—usually only half of which survive their first year. The average coterie tends to have one or two breeding males, several breeding females, and the females’ new pups. Males tend to jump from coterie to coterie—but the females stick together for life. 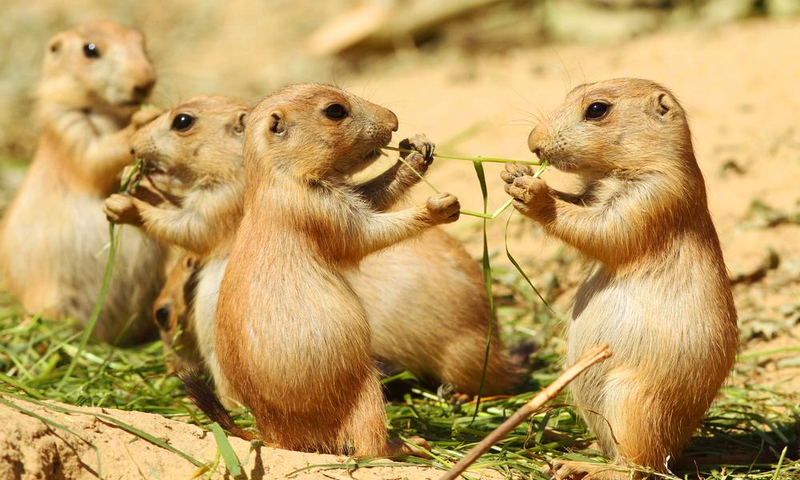 To a human ear, prairie dogs’ squeaky calls sound simple and repetitive. But recent research has found that those calls can convey incredibly descriptive details. Prairie dogs can alert one another, for example, that there’s not just a human approaching their burrows, but a tall human wearing the color blue.